For puppies 8 to 20 weeks of age. This class will support the development of a confident, well-adjusted puppy. Issues such as jumping, chewing and nipping will be discussed as well as housebreaking and crate training. Puppies will receive important socialization with other puppies and people. Basic obedience commands will be introduced – sit, down, come and a brief stay. Particular attention will be given to walking on a leash without pulling and coming when called. Additionally, puppies will have fun with Puppy Rally to encourage attention and develop coordination. For dogs 5 months or older. The beginning class provides the basic skills for all other activities in which you and your dog may become involved. You will learn how to teach your dog to walk in heel position on a loose leash, sit and stay, down and stay, come when called plus other exercises. Your dog’s attention will improve during this learning experience. The end result of your training in this class is a well mannered canine companion. Canine Good Citizen (CGC) and Canine Good Citizen Advanced (CGCA) testing will be scheduled for our NCOTC club members and students at least twice a year. These American Kennel Club titles are offered to all dogs, both mixed and pure breed. The CGC and CGCA titles and certificates have become a standard for canines doing visitations in nursing home facilities. 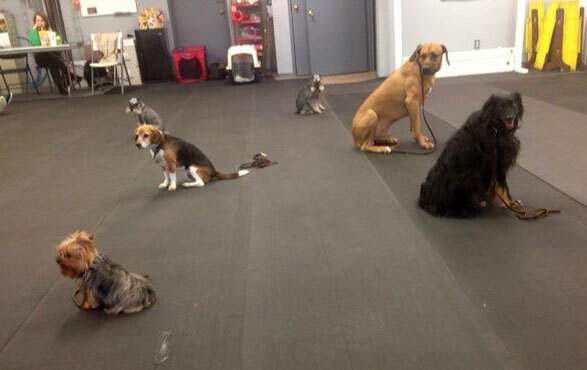 Our Obedience classes will prepare you for the multiple part tests. We also offer practice sessions prior to the test dates.